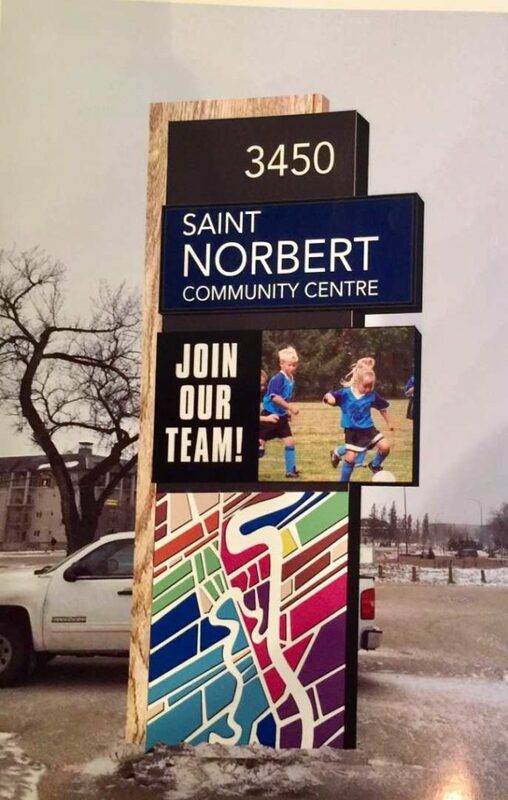 Very exciting news for the St Norbert Community Centre AND the community of St Norbert! I’ve provided a grant, the Community Centre is allocating funding, the old reader board sign is coming down and a new digital reader board is going up! It has been an absolute pleasure working with Will and the team at the Community Centre to develop, design and reach the point where we now will be proceeding with construction of a new reader board at the Community Centre! That old board has seen a lot of letters come and go and fall off and is just an eyesore in the community! Very pleased to be supporting this project, and very pleased to have Will and the team work through details! Its taken us a while but will be well worth the wait. The image represents the initial draft – and we fully expect to see this new sign installed by summer! Bravo!